Weleda’s Millet Nourishing Shampoo for normal hair is an award winning, mild shampoo that contains extracts of organic millet husks and organic macadamia nut oil to gently cleanse the hair whilst maintaining its natural shine. The use of millet helps to prevent the hair from becoming dry due to its mild, conditioning abilities. It also helps to maintain the nutrient levels of the hair. Weldea’s Millet Nourishing Shampoo also contains extracts of peppermint, grapefruit and woody amyris. This product comes packaged in a white bottle that holds 190ml of product. It has a push cap for the shampoo to be dispensed from. It also has a green label on either side of the bottle containing product information. The important thing to remember is that Weleda’s Millet Nourishing Shampoo does not lather up much, if at all. If more is used then there is a slight lather, but if you prefer using smaller amounts (like me) then there isn't a lather at all. Therefore, if you are used to a foaming shampoo, you may be a little thrown off initially. It may also mean that a little more product than normal is needed to cover the hair, which is also dependant on the length of your hair. Side note: If you are a regular reader of this blog, you may be curious as to why I am reviewing a shampoo. Around six months ago I converted to “no-poo,” which is a method of hair washing that doesn’t use shampoo. 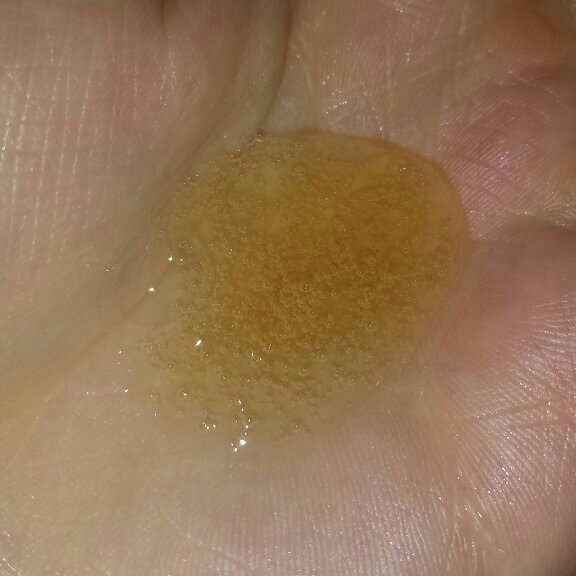 Instead, I have been using bi-carbonate of soda and apple cider vinegar. In my no-poo post, I explained about how shampoos usually contain silicones, which can build up on the hair and cause a myriad of issues. So why would I decide to write about this shampoo now? I will explain my reasons as to why another time, but I have recently decided to convert to “low-poo.” Low-poo is a method of hair washing that uses shampoos that do not contain harmful ingredients. 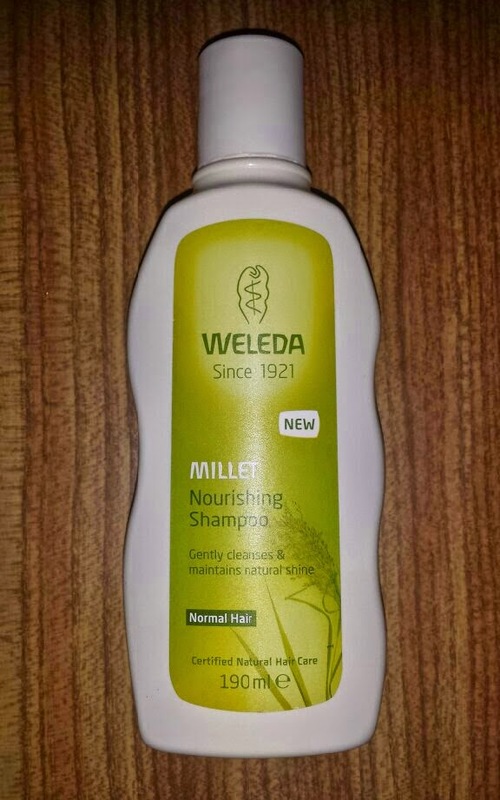 I decided to try Weleda’s Millet Nourishing Shampoo because their shampoo range was voted the “Best New Natural Range” in 2013. I also happened to have a sample of it still lying around from a previous Birchbox, which my sister (who disliked it immensely) had given back to me. If you have read said Birchbox post, you will probably have seen how my sister, who tried out the sample for me, despised it. 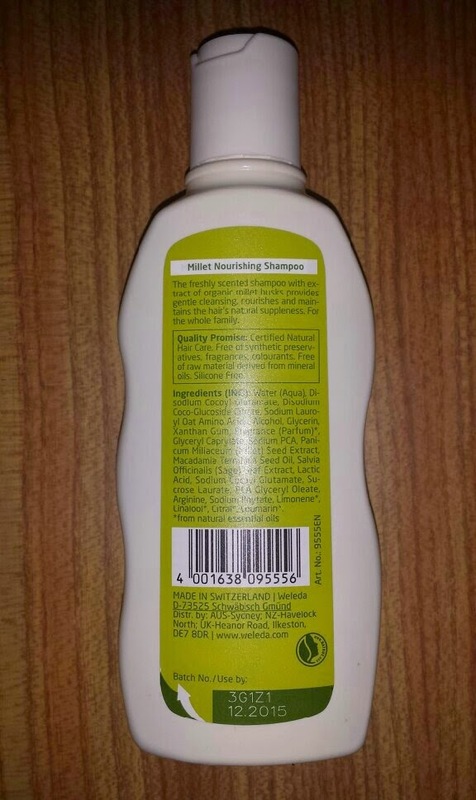 She said that the Weleda Millet Nourishing Shampoo left her hair feeling greasy and unclean. This made me curious. Surely it wouldn’t be an award winner if it worked that badly? Therefore, I had to see for myself. Even after using this shampoo just once, my initial reaction was to wonder just what on Earth my sister was talking about when she slated it so harshly. Whilst there is no to little lather, this shampoo can easily be dispensed throughout the hair and massaged in. It is also incredibly easy to rinse out, so it doesn’t take much time at all to complete the entire process. It doesn’t do much to help with detangling, so if you have issues with this yourself, a natural conditioner or detangling spray may be necessary afterward to help comb through any knots. I have been using either Number 4’s Lumiere d'Hiver Super Comb Prep & Protect or simply a homemade apple cider vinegar and water rinse, both of which worked really well. Weleda also have their own conditioner which I have just began to use, called the Oat Replenishing Conditioner, which is designed to work with their entire range of shampoos. Once dry, the hair is left feeling soft and healthy. There are no elements of dryness throughout the hair which I have encountered with other shampoos, and neither does my hair get greasy by the end of the day which was a very common occurrence during my regular shampoo using days. In regards to my sister's experience with this shampoo, I decided to have a chat with her about it where we discussed potential possibilities for the vastly opposing opinions. The main difference between the two of us at the times that we chose to use this shampoo was this: my sister has never been a “no-poo” convert and always uses mainstream, silicone shampoos. I tried it after six months of being “no-poo,” and after stopping the use of any hair products that contain harmful chemicals. When first converting to “no-poo” there is a transition period where your hair can go completely out of whack for up to a few weeks. What my sister went through after using this shampoo seemed vaguely familiar to said transition period. Is it possible that the prompt switch from regular shampoo to a natural shampoo caused this issue? Well, after a little bit of researching, I have found out that a low-poo transition period is a known thing. If it is the case and you decide to convert to a shampoo such as this one from regular shampoos, there may be a chance that you encounter the greasiness that my sister did. Obviously I cannot say that for certain though. Alternatively, if you already use natural, “low-poo” shampoos or you are converting from “no-poo” to “low-poo,” you may be completely fine with the switch. It is a situation that I thought that I would bring up because everybody’s experience with a product may be different. Even if I rant and rave about something here, you may have a totally different opinion. 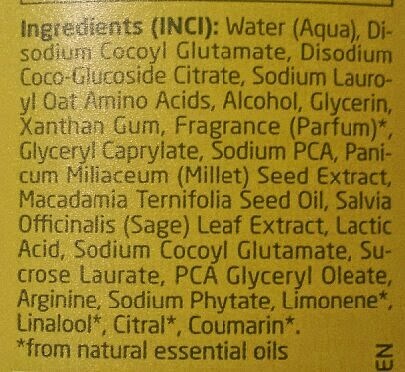 Personally, I think that Weleda’s Millet Nourishing Shampoo is fantastic. I’m thoroughly enjoying it and I highly recommend it to those who are looking for a natural alternative to regular shampoo. You can purchase a full size bottle of Weleda Millet Nourishing Shampoo for £8.95 for 190ml from Birchbox or Look Fantastic. Alternatively, you can also purchase it from Amazon for £7.15. If you choose to order from Look Fantastic and it is your first order with them, you can receive 20% off with the voucher code NEWLF20 (supplied by MyVoucherCodes). Have you ever tried Weleda Millet Nourishing Shampoo? What are your thoughts or experiences?